Dee-Scription: Home >> D D Too Home >> Radio Logs >> Escape! 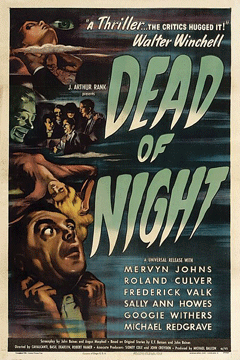 In 1946 Universal released Dead of Night for American audiences. It was the Universal release that was adapted for the auditions for Out of This World and Escape. 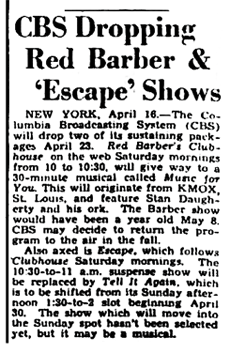 CBS moved Escape yet again in September 1949, this time into a late night spot on Thursday evenings. Billboard magazine article of July 1 1950 lamenting the absence of commercially sponsored properties on Friday evenings. 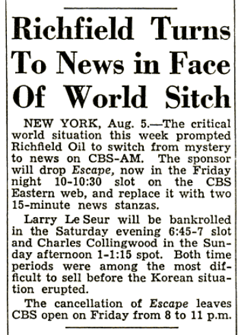 Billboard magazine of August 12 1950 announcing Richfield Oil dropping Escape in favor of sponsoring a news program. 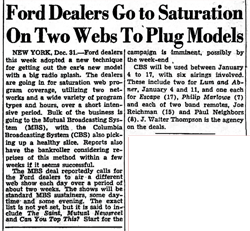 CBS sold a package of targeted prime time spots to Ford for the roll-out of their 1950 line. Ford Motor Company sponsored Escape on January 17th 1950 for the roll-out of its 1950 line of automobiles. 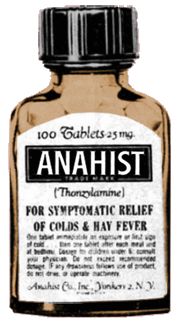 Anahist sponsored Escape in targeted spots during the 1950 - 1952 broadcasts of Escape! 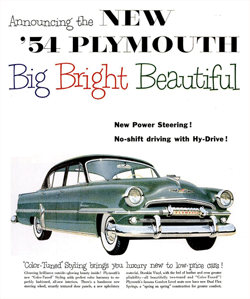 Plymouth sponsored Escape to help roll out their 1954 line. 1943 Escape From . . .
During an era when the word 'romance' still implied adventure as well as emotional and physical passion, the words 'romance' and 'adventure' were often viewed as synonymous with each other in the titles of hundreds of Radio canons of both the earliest and latest Golden Age Radio broadcasts. Escape adventures, in particular, ran the gamut of taut psychological dramas to westerns to war dramas to suspense dramas and thrillers--and on some level, everything in between. The decidedly escapist nature of such adventure dramas appealed to a wide spectrum of Radio listeners throughout the era. This was after all an era following on the heels of the Wall Street Crash, the Great Depression, America's politically isolationist turmoil of the mid to late 1930s, World War II, the Korean Conflict, and the Cold War era during which Radio was soon supplanted by Television. But through it all, a half-hour of 'escape' every week was a gratefully welcomed diversion for North American audiences. The dynamics of a compelling escape drama invariably found the protagonist(s) trapped in one way or another by either physical circumstances, psychological or emotional dilemmas or forces of one form or another, geopolitical conflicts, or the consequences of any one of the seven deadly sins. Such internal and external conflicts when carefully drafted--or crafted--made for compelling and often very visceral drama. The long-running success of Romance, Suspense, The Whistler, and Escape simply underscore the argument. The National Broadcasting Company (NBC) first brought a series titled Stories of Escape to Radio in 1944. Though running for only a year, the concept was quite similar to that of CBS' long-running Escape series. But with Stories of Escape relegated to mostly midnight airings throughout North America, the series never quite found a mainstream audience. Stories of Escape ran from January 1944 to January 1945. The Columbia Broadcasting System's growing success with Suspense found it occupying a highly popular niche with its listening audience. 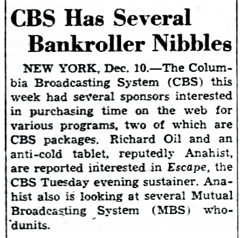 One might well argue that Suspense was an embarassment of riches for CBS--so much so that promising ideas for scripts began flooding the production. 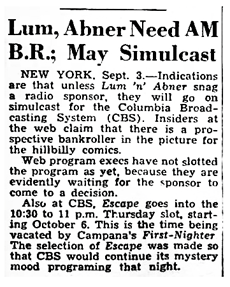 CBS' Suspense had definitely touched a nerve with North American wartime listeners. CBS' Escape was first conceived as a Radio property to be titled Out of This World. 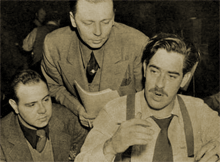 The CBS Division of Program Writing produced an audition for Out of This World starring Berry Kroeger and Art Carney in an adaptation of the recently popular Ealing Studios film, Dead of Night (1945). 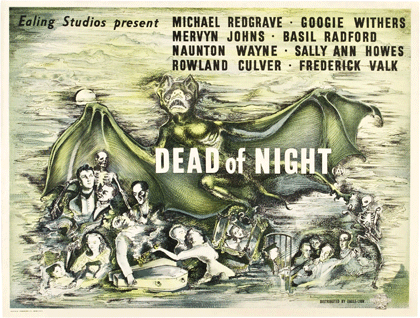 Dead of Night was subsequently released in a less adult form for American audiences by Universal in 1946. It was the Universal release that CBS adapted for the auditions. During the ensuing month the CBS Division of Program Writing produced a second audition adapting Dead of Night as a proposed Escape! canon, again starring Berry Kroeger and Art Carney. The second audition announced an adaptation of F. Scott Fitgerald's 1922 Smart Set story, The Diamond As Big as The Ritz [announced as "A Diamond As Big as The Ritz"], for the following week. The rhythm, format, tempo and structure of the prologues to both Suspense and Escape were indeed remarkably familiar--as was the teaser format for subsequent episodes. Both productions' use of both an announcer and weighty narrator for the series'. Both productions' tag-lines over their entire runs. 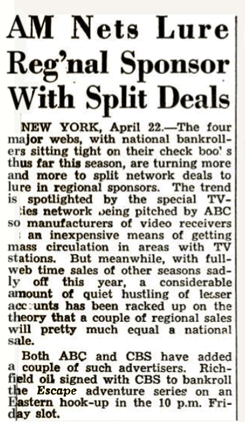 Actually comprising only 201 unique stories, Escape ultimately ran -- off and on -- for 235 unique broadcasts [251, if counting the two auditions and twelve, deliberately overlapping East Coast/West Coast broadcasts] over a period of seven years, from 1947 to 1954. While a spendid production all told, it would appear that the CBS network felt otherwise. The series aired sustaining for the overwhelming number of its various runs. 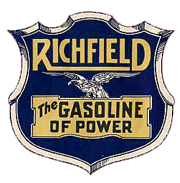 The only sponsors of note were Richfield Oil Corporation of New York, Ford Motor Company and Chrysler-Plymouth--and all three of those in fairly limited fashion. 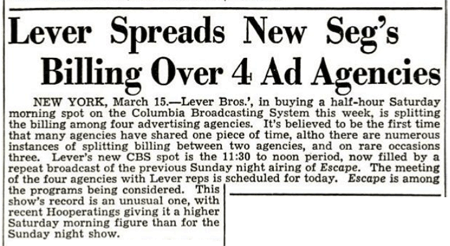 CBS moved the series all over its schedule only occasionally announcing any of the bewildering array of movements. It would appear that Escape fans' only saving grace was that CBS tended to schedule Escape reasonably close to Suspense over the years. A brief series of broadcasts that could be heard on as many as three different days of the week, depending on the time zone. Lever Bros' interest in sponsoring Escape. The series certainly didn't lack for either behind the mike or before the mike talent. William N. Robson, Norm MacDonnell and Anthony Ellis took most of the producer/director credits with help from Fine and Friedkin, John Moseman, and Richard Sanville, among others. The directors often both wrote and directed a number of the Escape episodes. Escape was also noteworthy for providing several of the legendary Radio artists of the era a showcase for their writing talents, such as John Dehner, Tony Barrett and Ben Wright. As mentioned above, Escape was predominantly a vehicle for West Coast character actors of the era. With rare few exceptions throughout its various runs the casts were comprised almost exclusively of West Coast Radio's finest artists. And in direct contrast to Suspense, during the almost eight years of Escape's various runs the only 'film stars' of note appearing in Escape were Vincent Price, Van Heflin, Edmond O'Brien, and Victor Mature. Note that, in addition to the above, the two audition performances of Dead of Night might also be construed as repeats. For comprehensive synopses of the entire Escape run, we'd recommend Christine Miller's very thorough Escape and Suspense blog. Our personal favorite productions from the canon were the Bill Conrad performance of Leiningen Versus the Ants and the Vincent Price performance of Three-Skeleton Key. So much so that had Escape consisted of nothing but drivel for its remaining 249 broadcasts, we'd remain one of the canon's more ardent fans. But such was not the case. Escape continued to produce some of Radio's most compelling adventure dramas throughout its entire production history. This is all the more remarkable for the fact that only 201 unique scripts/plots comprised the entire production history of a program that aired for almost seven years in prime time. That's an average of barely twenty-eight unique scripts a year. Perhaps its just us but we get the impression that CBS had something of a love-hate relationship with Escape that apparently endured over Escape's entire production history. For all seven years, CBS. . .
. . . and yet it continued to survive--and with remarkable ratings in spite of CBS' failure to promote it. As noted further below CBS even considered handing the whole production over to famed Radio writer, director and producer, Wyllis Cooper--for Television. And as noted above, CBS was happy to take credit for Escape's extraordinary popularity--as a CBS-sustainer--while still failing to promote it in any appreciable manner. Billboard magazine announcement of Escape's impending departure after March 30 1950. In practice, Escape simply moved to Friday evenings. Our favorite voices of Escape were Bill Conrad and Paul Frees. Their weighty intonations and foreboding exposition were perfect compliments to the format. 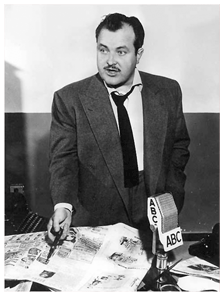 Eric Snowden was Escape's first voice, with William Conrad and Paul Frees soon after alternating in that duty until the last runs of Escape, when veteran voice talent and character actor Lou Krugman assumed that role, occasionally alternating with Paul Frees. Antony Ellis, John Dehner, Tony Barrett, and Ben Wright were also regular contributors of original scripts. The scripts throughout the canon, including the many adaptations of fiction classics, also tended to follow what became an Escape! formula. The dilemma or threat was teased during the opening credits, expanded as necessary with the aid of exposition by the narrator. This was after all an half-hour format and many of the stories adapted for the format could easily have consumed a full hour. But it was the skill of the scriptwriter, musical director and director that brilliantly crafted all the pace, suspense, and action into what was actually only between twenty-three to twenty-six minutes of dramatic airtime. Leiningen Versus the Ants was a splendid example of an economically adapted treatment that filled the entire broadcast from beginning to end with taut suspense, perfectly balanced exposition, marvelous character development and perfectly escalated--and cliff-hanging--resolution. Though each only twenty-seven minute treatments, all three performances felt far longer than they actually were. Beginning with a highly visceral dilemma, Leiningen Versus the Ants laid out both the background and character development within the first several minutes of the broadcast then simply allowed the devastating impending threat to take its own, escalating course for the remainder of the script. 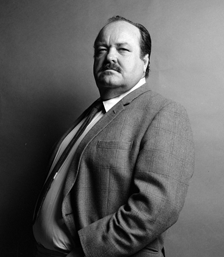 And as we noted above the William Conrad rendition especially has to be one of Radio's most memorable action/adventure broadcasts to ever air in a half-hour format. Brilliant Radio, all told. The Escape! franchise made its first jump to Television in 1950, premiering over the [then] CBS affiliate, KTTV, Channel 11 in Los Angeles as a filmed for Television production airing for thirteen episodes. Written by Wyllis Cooper as promised the series featured Klock Ryder, better known to Radio audiences as 'The Old Hermit' from The Hermit's Cave (1936-1939). Running concurrently with the Radio rendition of Escape!, audiences of the era clearly still found the Radio version preferable to the Television version--in spite of Wyllis Cooper's script and producer credits. The ever economical CBS and Wyllis Cooper rolled two of the thirteen short-lived Escape! Television scripts into Cooper's second production for CBS-TV--Stage 13 (1951). CBS-TV and Wyllis Cooper leveraged two of Cooper's Escape! scripts for the Television version into the first two installments of their Stage 13 mystery adventure TV series for the Spring of 1950. Re-viewing--The summer changeover period has already begun to take its toll of some of television's better shows. One of the more recent to bid farewell is CBS-TV's "Stage 13" (Wed. 9:30 p.m.) Following a long stint of striking terror into the hearts of radio audiences on "Lights Out," Producer-director Wyllis Cooper has been performing the same service for television and with intensified results. Based on stories from the realm of the supernatural and peopled, I use the word very loosely, by witches, wraiths, vampires and sundry equally attractive characters, "Stage 13" takes the viewer through varied and nightmarish situations. On one recent show, the story centered around a young couple making a visit to the old Druid ruins at Stonehenge. Knowing how Mr. Cooper operates, this naive young pair still chose to spend the night at a nearby inn on, of all times, superstition-ridden Mid-Summer's Eve. At the fatal hour of midnight they become entranced and make a trek to, of all places, the sacrificial altar of the Druid high priest. The boy becomes the reincarnation of this knife-happy dignitary and the girl, alas, just another offering to the hungry Druid gods. In another vein, and the word has morbid significance, Mr. Cooper recounts the tale of the young writer who is turning out a book entitled "I Am a Vampire." This would be harmless enough, but the tome proves to be autobiographical. Seems our hero was born some 400 years ago and served as a protege of the father of all good vampires, Dracula. In order to survive through the centuries, has had to partake of the vital fluid of some unfortunate mortal. In turn, his victim joins him in the ranks of the undead. The story ends with our hero victimizing both his unwanted wife and his much-desired secretary, thus foolishly creating an eternal triangle in fact. Mr. Cooper, in a rare kindly moment, passes on the following information concerning these wander werewolves. Their approach will always be heralded by the baying of the neighborhood dogs. Also, identification can be definitely established should your suspect to unable to produce his image in an ordinary mirror. Once the identity is known to you, a wreath of white roses placed on the door will serve to ward off the thirsty intruder. If no roses are available at that crucial moment, you might as well resign yourself to an intrusion as well as a transfusion. For lovers of the supernatural, here is your dish. As for me, well Mr. Cooper at times can be just a little too convincing. It would appear that Cooper's Stage 13 suffered the same fate as his short-lived Volume One and Escape! series' for Television. Given the reutilization of two of CBS-TV's Escape! scripts in Cooper's Stage 13, the demise of the latter appears to have spelled the ultimate demise of Escape! over Television. Though several other Television series' named "Escape" came and went--internationally--over the following forty years, Willis Cooper's short-lived 1950 Escape series was the only rendition to loosely follow the Radio concept and format. Most of the subsequent series' were literal escape anthologies--as escapes from prison, war situations, the jaws of fate, etcetera. While literally escapist in nature, none of the modern Television anthologies named "Escape" employed the psychological, supernatural, or man against nature themes popularized by the Escape! Radio program or the Willis Cooper-scribed Television series'. 47-07-07 to 47-08-18; CBS; Seven, 30-minute programs; Mondays, 9:30 p.m.
RadioGOLDINdex, Hickerson Guide, Stewart Wright, Christine A Miller's Escape and Suspense blog. We don't pronounce our Golden Age Radio research as 'certified' anything. By the very definition, research is imperfect. We simply tell the truth. As is our continuing practice, we provide our fully provenanced research results--to the extent possible--right here on the page, for any of our peers to review, or refute, as the case may be. If you take issue with any of our findings, you're welcome to cite any better verifiable source(s) and we'll immediately review them and update our findings accordingly. As more verifiable provenances surface, we'll continue to update the following series log, as appropriate. "Escape"  flights from the humdrum of the day's cares into the realm of sheer-adventure and imagination is the new dramatic series starting on the Columbia network Monday, July 7 (CBS, 9:30-10 p.~m.,' EDT.). "Escape" will offer tales from masters of the short story and exploits of real adventurers, presenting such masterpieces as Kipling's "The Man Who Would Be King," Bierce's "Incident at Owl Creek Bridge," and such exploits as Pearys discovery of the North Pole. 7:30 p.m.--Escape (WBBM): new series: Kipling's "The Man Who Would Be King." 7:30 p.m.--Escape (WBBM): "Operation Fleur de Lis," story of OSS men in France. F. Scott Fitzgerald's A Diamond as Big as the Ritz, originally scheduled for broadcast on WGAN's Escape Monday at 9.30 from Hollywood will be heard instead on July 21. The July 14 broadcast will Be Operation Fleur de Lis, adapted by producer William N. Robson from the book, Sub Rosa. It is the story of two American OSS leutenants who parachute into Nazi-occupied France to hinder German plans and to stimulate underground activities. The broadcast falls on the 158th anniversary of France's Bastille Day. 7:30 p.m.--Escape (WBBM): "A Diamond as Big as the Ritz." 7:30 p.m.--Escape (WBBM): Joseph Conrad's "Typhoon." 7:30 p.m.--Escape (WBBM): "The Sire de Malatroit's Door." 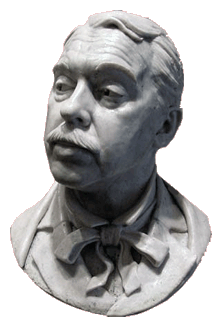 7:30 p.m.--Escape (WBBM): "The Ring of Toth" by Sir Arthur Conan Doyle. 7:30 p.m.--Escape (WBBM): "The Fourth Man," by John Russell--escape from a prison colony. 7 p.m.--Radio Theater (WBBM): begins 14th season; Bette Davis, Glenn Ford in "A Stolen Life." 7:30 p. m, Escape, WBBM. Three CBS-produced shows which were heard as summer entertainment will probably be brought- back for fall spotting. They are CBS Was There, Rooftops of the City and Escape, all of which won high favor with listeners during their brief airings. 9:30 p.m.--Escape (WBBM): returns with Richard Connell's "The Most Dangerous Game." 9:30 p.m.--Escape (WBBM): Benet's "A Tooth for Paul Revere." 10:30-11--Escape: "A Tooth for Paul Revere"--WCBS. 10:30-11--Escape: "Fall of the House of Usher."--WCBS. 10:30-11--Escape: "The Country of the Blind"--WCBS. 10:30-11--Escape: "An Occurrence at Owl Creek Bridge"--WCBS. 10:00--WNBC, WOR, WJZ, WCBS, WMCA, WNEW, WQXR--President Truman; Opening American Cross Fund Drive. From Key West, Fla.
9 p.m.--Escape (WBBM): by a would-be suicide into "Action." 48-04-25 Wisconsin State Journal - 8 p.m.--Escape (WBBM): "The Fourth Man." 48-05-09 Wisconsin State Journal - 8:30 p.m.--Escape (WBBM): H.G. Wells' "Time Machine." 48-05-16 Wisconsin State Journal - 8:30 p.m.--Escape (WBBM): "The Match," by James Oliver Curwood. 48-05-23 Wisconsin State Journal - 8:30 p.m.--Escape (WBBM): "Leinengen vs. the Ants." 48-05-30 Wisconsin State Journal - 8:30 p.m.--Escape (WBBM): "Beau Geste." 8:30 p.m.--Escape (WBBM): "Beau Geste." WBBM 8:30 This Living Thing. 8:30 p.m.--Escape (WBBM): H.Rider Haggard's "She." 48-07-04 Wisconsin State Journal - 8:30 p.m.--Escape (WBBM): "A Tooth for Paul Revere," by Stephen Vincent Benet. 48-07-11 Wisconsin State Journal - 8:30 p.m.--Escape (WBBM): H. Rider Haggard's "She". 48-07-18 Wisconsin State Journal - 8:30 p.m.--Escape (WBBM): F.R. Buckley's tale of heroism, "Habit." 48-08-01 Wisconsin State Journal - 8:30 p.m.--Escape (WBBM): Kipling's "The Man Who Would Be King." 48-08-15 Wisconsin State Journal - 8:30 p.m.--Escape (WBBM): "S.S. San Pedro" and its supernatural passenger. 8:30 p.m.--Escape (WBBM): "The Haunted Man," by Ralph Bates. 8:30 p.m.--Escape (WBBM): "The Haunted Man," tale of life-long struggle against futility. 48-09-19 Wisconsin State Journal - 8:30 p.m.--Escape (WBBM): "The Haunted Man". Announces "with tonight's program we bring to close the present series"
9:30 a.m.--Escape (WBBM): returns; "Lost Special," by Sir Arthur Conan Doyle. 9:30 a.m.--Escape (WBBM): "Conqueror's Isle," tale of supermen. 9:30 a.m.--Escape (WBBM): "He Who Rides the Tiger," story of amnesia victim in wartime China. 9:30 a.m.--Escape (WBBM): Cornel Woolrich's "Finger of Doom." 5:30 a.m.--Escape (WBBM): Edmond O'Brien in "Country of the Blind." 9:30 a.m.--Escape (WBBM): "Confidential Agent," story of intrigue in wartime England. 9:30 a.m.--Escape (WBBM): strange tale of blind man, his "seeing-eye" friend, death, and a treasure hunt. 9:30 a.m.--Escape (WBBM): "The General Died at Dawn." 9:30 a.m.--Escape (WBBM): "The Great Impersonation." 7 p.m.--Escape (WBBM): returns to the air with John Russell's "The Fourth Man," tale of danger on a drifting raft. 7 p.m.--Escape (WBBM): "Drums of the Fore and Aft," by Rudyard Kipling. 7 p.m.--Escape (WBBM): "Action," story of mountain climber who finds will to live despite personal tragedy. 7 p.m.--Escape (WBBM): "Evening Primrose," story of colony of strange folk living in department store. 7 p.m.--Escape (WBBM): "Leiningen vs. the Ants," story of terror in the jungle. 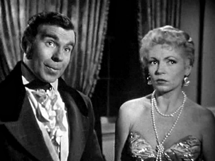 9:00-WCBS--Escape Drama: Fortune of Vargas. With Victor Mature. 8 p.m.--Escape (WBBM): Van Heflin in "Wild Oranges," by Joseph Hergesheimer. Announces the return of Escape on Saturday 49-10-08, to "assume a regular place in the CBS lineup." 8:30 p.m.--Escape (WBBM): on new schedule: "The Primitive," tale of search for fugitive in South Pacific. 9:30-10--Escape: "A Night in Havana"--WCBS. WBBM 8:30 Give and Take. Escape, KTSA, 8:30 p.m., with Screen Star Vincent Price in "Present Tense." 6:30KNXThe story of an Englishman who served with the Royal Navy in World War I, as told by Robert Buckner in "The Man Who Won the War," will be the special broadcast by "Escape." 8:30KNXThe popular adventure series "Escape" will move to this spot and begin with "Port Royal," the story of a famed pirate hideout which sank in 1692 and the modern divers who hope to recover the loot. 8:30KNXThree lighthouse keepers are forced to the topmost reaches of their lighthouse when they are trapped by an invasion of rats from a derelict ship that touches "Three Skeleton Key." This is literally an "Escape" drama. 8:30KNXJoe Mazurka, just escorted out of Miami on a vagrancy charge, is invited back by a famed author and runs into "Danger at Matecumbe." The job turns out to be highly paid but not high enough to overcome the risks involved, nor does there seem to be any hope of "Escape." 8:30KNX"A Golden Snake," that has been hidden for 3000 years by the Mayans, inspires Steve Lane to make a search for the golden treasure. But this "Escape" story proves that the legend is too strong to combat. 8:30KNXWhen writer Tony Dehner wants to get from Chungking to Shanghai, via a Yangtze River boat, he finds that money is not enough to effect his passage Dr. Jane Roma smoothes the way for him, but he learns to his sorrow that there is a penalty attached. Announces "Starting next Thursday Night, Suspense returns to the air"
7 p.m.--Escape (WBBM): "Macao," tale of woman with lust for power. 8 p.m.--Escape (WKOW): "The Earthmen," tale of U.S. scientists on Mars. 8 p.m.--Escape (WKOW): troubles of a heavyweight boxer in "The Gladiator." 8 p.m.--Escape (WKOW): a crippled Chinese submarine fights Japanese battleships in "Up Periscope." 8:30 p.m.--Escape (WKOW): "The Silent Horror," tale of New Guinea jungle. Announces that Hearthstone of The Death Squad will air in Escape's place the following Wednesday. 8:30 p.m.--Escape (WBBM): returns to the air. "The Game" is the story of two teen-age boys and a game of violent death on "Escape" over KNX at 6:30 p. m.
10:30 p.m.--Escape (WKOW): tale of man's theory about love. 10-10:30--Escape: "The Bird of Paradise"--WCBS. ESCAPE: "Affair at Man Mandrake," British Intelligence, ferrets out a spy; WEEI, 10.05. 9:30-10:30--Traffic Documentary: "Dead Stop," interviews at the scenes of accidents, at hospitals and in police stations; Red Barber, narrator--WCBS. 9:30-10--Escape: "An Ordinary Man," a drama of romance on a Mediterranean cruise--WCBS. 9:30-10--Escape: "Benscelina and the Fisherman," a harmless Irish fisherman sets out for trout, but meets with romance and a battle of life and death in the bleak uplands of County Mayo--WCBS. 9:30-10--Escape: "Bloodwaters," story of a hunt for sunken gold in Argentina--WCBS. 9:30-10--Escape: "Judgment at Crippled Deer," three men and a girl mete out justice in the frozen Yukon, until someone proves they erred--WCBS. 8-8:30--Escape: "The Evil Eye"--Story of a white man in Burma who scoffs at native superstition--WCBS. 8-8:30--Escape: "Flood on the Goodwins"--Story of fog and U-boats in the English Channel--WCBS. 8-8:30--Escape: "Dream Trip"--A Voyage to Haiti turns out to be a nightmore--WCBS. 8-8:30--Escape: "The Price of the Head," drama of a native's devotion to a drunken bully--WCBS. 8-8:30--Escape: A plane crashes under mysterious circumstances and only the pilot escapes to earn the name of "The Coward"--WCBS. 8-8:30--Escape: A courageous girl helps to maintain a troubled man's sanity when she proves to him that "Two and Two Make Four"--WCBS. 8-8:30--Escape: "The Boiling Sea," drama of a ship caught in the center of an erupting undersea volcano--WCBS. Acting as one of the Sponsors of an Artists Front to Win the War meeting he helped organize at Carnegie Hall in 1942. A December 1946 speech he gave on the encroachments being made against free speech. Being a signator to a 1948 full page 'We Are for Wallace' ad in the New York Times. A masthead listing him as an Associate for the Hollywood Quarterly, a scholarly journal of Film, Radio and Television history. That's apparently all the extreme Right Wing needed during those shameful post-War years to destroy any great professional's career--through whispers and innuendo. Robson had been one of CBS's premiere Radio and Television talents, but their withering support of Robson, fueled by the spurious comments in Red Channels eventually pressured CBS into discharging Robson. The long-festering Right Wing backlash from F.D.R. 's famous Four Freedoms Speech had traversed full-circle. And so it evolved that anyone speaking out for the protection of those very freedoms was targeted for ostracization. But despite the attempts to destroy his reputation, Robson's career in Radio and Television and in service to his country still stand as one of the finest records of acheivement of the Golden Age of Radio. Indeed, it was Edward R. Murrow himself, under the administration of John F. Kennedy that gained an appointment for Robson as a Director for The Voice of America. His security clearance for that highly sensitive position was expedited without a hitch. William Robson had every expectation of having a storied career. He showed early promise at Yale, began his writing career with Paramount Pictures, then in 1936, entered Radio while still in his twenties. He was a staff writer and director for CBS for almost 20 years. So instrumental was his role in early CBS Radio dramas that his name was rountinely attached to the promotional efforts for the programs he wrote, directed or produced for CBS--and rightly so. 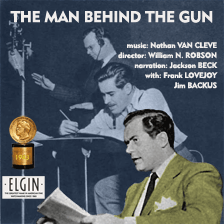 By the mid-1940s Robson had already received two prestigious George Foster Peabody awards for CBS--for 1943's Man Behind the Gun and the documentary, Open Letter on Race Hatred. Robson's Philosophy degree served him well throughout his career, and its influence on his Radio and Television productions is readily apparent throughout his body of work. Always sensitive to the eternal conflicts between morality and amorality, many of Robson's pet projects strove to shine a light onto the murkier aspects of American society. This is undoubtedly one of the reasons that the first half of his career attracted the prurient interests of the extreme Right Wing during the infamous HUAC era. And indeed, despite all extreme Conservative attempts to squelch his 'voice' in the Media, he could not be restrained for long. Robson may well have argued himself, that the second half of his career was even more productive and influential on the World Stage than his years in American Radio and Television. William N. Robson capped an outstanding career in Communications with a highly influential position producing Pro-Democracy documentaries as Chief Documentary Writer, Producer and Director for the Voice of America. Indeed, he won four more Peabody Awards for his work at The Voice of America. How fittingly ironic. And though his work with The Voice of America may well have eclipsed his work during The Golden Age of Radio, his personal influence in shaping and giving a conscience to those Golden Years stands head and shoulders above his peers. 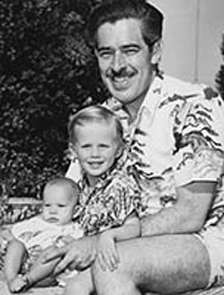 William Robson died of Alzheimer's disease at his home in Alexandria, Va in April of 1995, survived by his wife, Shirley, and three sons, Christopher, Anthony and Michael. 1950 This Is Your F.B.I. Count the ways to measure Multimedia genius, then double it, and you have Paul Frees. Several famous voice artists have been tagged "The Man of A Thousand Voices." During his ambitious, but brief career, Frank Graham was dubbed the same before his suicide death in 1950. Mel Blanc held that moniker for years. The late, great Don La Fontaine was another worthy recipient. 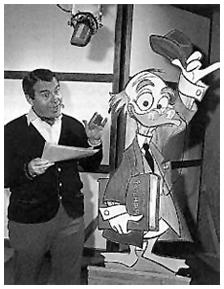 But with all due respect to those other great voice artists, I'm sure all would agree that Paul Frees remains rightful recipient of the tribute. 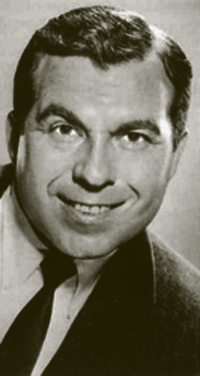 Paul Frees is one of the top ten most memorable, often heard, and hardest working voice talents of the 20th Century. Chicago-born Frees [birth name, Solomon Hersh Frees], was drafted into the Army during World War II, participating in the D-Day Invasion at Normandy. He was wounded in action and returned stateside for rest and recovery for just over a year. Upon obtaining his discharge, he began taking classes at The Chouinard Art Institute in downtown Los Angeles under his G.I. Bill. But his studies were curtailed when his first wife's failing health forced him to drop out and try his hand at Radio work. He appeared frequently on the A-List Radio programs of the 1940s, including Lux Radio Theatre, Rogue's Gallery, The Whistler, Suspense, Escape radio series, including Escape, Ellery Queen, The First Nighter, Family Theatre, and NBC University Theatre. His first solo outing was as The Player (1948) with Frees both narrating and playing all of the parts. 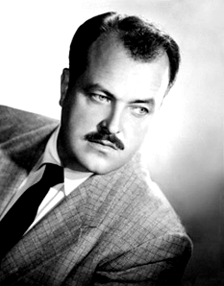 He alternated with William Conrad as the 'voice' of Suspense. His second solo outing was as Jethro Dumont in The Green Lama (1949), a summer replacement program. 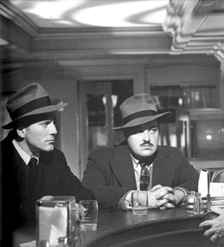 He followed that with a starring role in Crime Correspondent (1949). He also starred in The Croupier (1949). Frees' contribution to radio noir was a perfect match for his range of voices. He appeared regularly in most of the detective genre dramas of the 1940s. Throughout the 1950s he was heard voicing regular or recurring roles in Gunsmoke (1953), Crime Classics (1953), This Is Your FBI (1950), and two prestigious network classics, Hallmark Hall of Fame (1954) and CBS Radio Workshop (1957). Frees' radiography in the RadioGOLDIndex is one of the longest in its database. But Radio was only the tip of the iceberg in Frees' storied career. The Internet Movie Database (IMDB) cites over 370 entries for him, in Film, Television, and Animation. 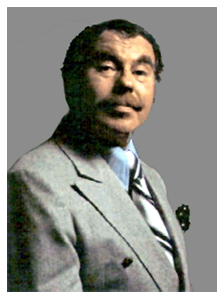 A college study once determined that so ubiquitous was Paul Frees voicework during the 1960s and 1970s, that there was literally not one day of Television or Radio during that period in which Paul Frees' voice was not heard. Frees spent much of the second half of his career working with an unprecedented nine of the major animation production companies of the 20th century: Walt Disney Studios, Walter Lantz Studios, UPA, Hanna-Barbera, Filmation, MGM Studios, DePatie-Freleng Enterprises, Jay Ward Productions and Rankin/Bass. His work with the Walt Disney Studios led to a long collaboration with them, from voicing animated characters to recordings that brought some of the most compelling attractions at both Disneyland and Disney World to life. His long association with Jay Ward Productions is most remembered for his narration of the Rocky and Bullwinkle Show, with William Conrad, and performing the voice of Boris Badenov, and multiple other characters. Accompanied by famous female voice talent, June Foray, their voices formed the very core of most of the Rocky and Bullwinkle episodes. There is simply not enough space in this format to adequately recount Frees' body of work. Fortunately the vast majority of his work is still available through Golden Age Radio and Television recordings. Frees passed away unexpectedly in 1986, at his palacial Tiburon home overlooking San Francisco--from a massive heart failure. He requested that his ashes be scattered over the Pacific Ocean. 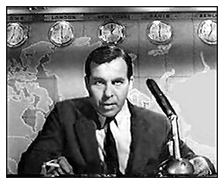 Anyone knowledgeable of 20th Century mass communications would unquestionably cite Paul Frees as one of the top ten voices over any medium from the era, perhaps even one of the top five. We'd certainly have to concur with either assessment. 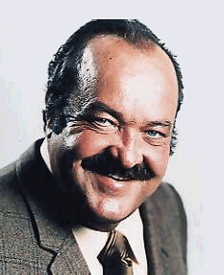 William Conrad was born William Cann in Louisville, Kentucky. He started work in radio in the late 1930s in California. During World War II, Conrad served as a fighter pilot. He returned to the airwaves after the war, going on to accumulate over 7,000 roles in radio-by his own estimate. We can attest to at least 2,000--Conrad had been a fighter pilot, after all. Conrad's deep, resonant voice led to a number of noteworthy roles in radio drama, most prominently his role as the original Marshal Matt Dillon on the Western program Gunsmoke (19521961). For the Gunsmoke purists, we'd remind them that the two actors that technically preceded Conrad in the role--Rye Billsbury and Howard Culver--auditioned as Mark Dillon, not Matt Dillon. 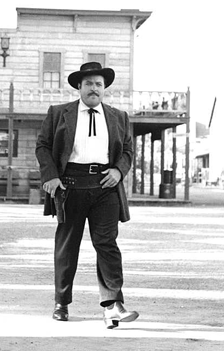 He was considered for the Television role of Matt Dillon when the series was brought to the small screen in 1955, but increasing obesity led to the casting of James Arness instead. As it turned out, relatively few of the other cast members were cast in the TV version. Other radio programs to which Conrad contributed his talents included The Whistler, Strange Wills, The Adventures of Philip Marlowe, Johnny Madero, Pier 23, The New Adventures of Michael Shayne, Ellery Queen, The Adventures of Sam Spade, Jeff Regan, Investigator, Let George Do It, Pat Novak for Hire, Escape!, Suspense and The Damon Runyon Theater. One particularly memorable radio role was his breathtaking performance in "Leinengen Vs. The Ants" first heard in the January 14, 1948 broadcast of Escape!, and in a later rendition in the August 25, 1957 Suspense broadcast of "Leinengen Vs. The Ants." Conrad, of course was also memorable as the 'voice' of Escape!. Conrad's long association with Jack Webb produced some of radio noir's most memorable moments as well. Conrad was heard in every Jack Webb production he ever mounted, and the chemistry between the two of them is one of radio's greatest pairings. 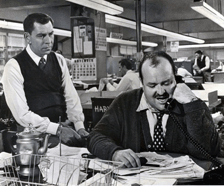 From Johnny Madero, Pier 23, to Dragnet--and beyond, the verbal interplay between Conrad and Webb always made for fascinating radio--and Film. Conrad's possessed an amazing gift for creating bone-chilling Radio characterizations of a seemingly endless array of toughs, gangsters, hard-boiled cops, corporate magnates, and hundreds of other commanding, self-assured, scoundrels and heroes alike. Those roles created a Radio following for him rarely equalled in Radio History. He was inducted into the Radio Hall of Fame in 1997. Among Conrad's various film roles, where he was usually cast as threatening figures, perhaps his most notable role was his first credited one, as one of the gunmen sent to eliminate Burt Lancaster in the 1946 film The Killers. He also appeared in Body and Soul (1947), Sorry, Wrong Number and Joan of Arc (1948), and The Naked Jungle (1954). And again, his characterizations of tough guys, aided by his amazing deep baritone and chillingly authoritative presence made for some of Film Noir's most enduring depictions. 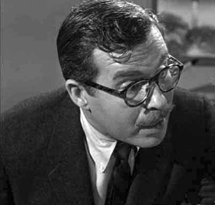 Conrad moved to television in the 1960s, first guest-starring in NBC's science fiction series The Man and the Challenge. Conrad guest-starred--and directed-episodes of ABC's crime drama Target: The Corruptors! 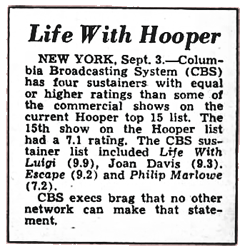 (1962). Indeed, both Conrad and the legendary Sam Peckinpah directed episodes of NBC's Klondike (19601961). He returned to voice work, most notably as narrator of The Fugitive (19631967) and as the director of Brainstorm (1965). Conrad is as fondly remembered for his voice work in Animation. He narrated the animated Rocky and Bullwinkle series from 195964 (as "Bill Conrad"), and later performed the role of Denethor in the animated Television version of J. R. R. Tolkien's The Return of the King (1980). The 1970s brought him further small-screen success with leading roles in Cannon (1971-1976), Nero Wolfe (1981) and Jake and The Fat Man (1987-1990). Conrad was also the on-camera spokesman for First Alert fire prevention products for many years, as well as Hai Karate men's cologne. 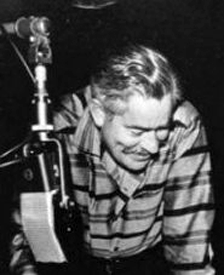 Conrad's credits as a director include episodes of The Rifleman, Bat Masterson, Route 66, Have Gun, Will Travel, and 77 Sunset Strip, among others, and feature films such as Two on a Guillotine. Conrad had one son, Christopher, with his first wife, Susie. When Susie died after thirty years of marriage, Conrad married Tippy Stringer Huntley, a graduate of the University of Maryland at College Park and widow of famed former NBC newscaster Chet Huntley. Conrad died from congestive heart failure on February 11, 1994, in Los Angeles, California. He is interred at Forest Lawn, Hollywood Hills Cemetery in the Lincoln Terrace. Home >> D D Too Home >> Radio Logs >> Escape!